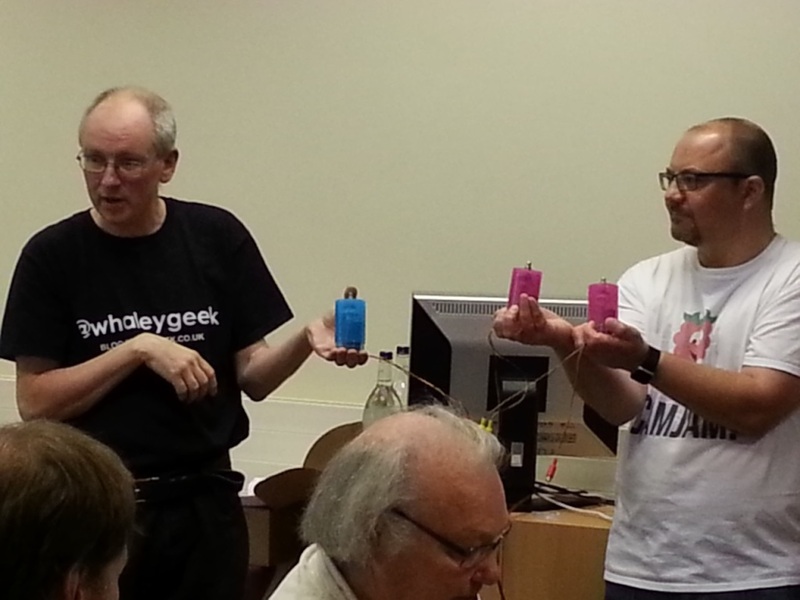 The general gist of the workshop is that each Raspberry Pi was a “Thing” on the Internet. Pairing off, one Pi acted as a “sensor” and sent a message when a button was pressed. The other reacted to that message by lighting an LED and playing a sound. Over the course of the workshop the idea was to demonstrate an event happening (a door opened) and a reaction to that event occurring (an alarm sounded). Thus demonstrating what the IoT can/will evolve into. The source from the workshop is available from the IoTic Labs github . Tell.py is the sensor, Reveal.py is the recipient of that sensor information. When you’re ready hit up the next article for the Extension Task! This entry was posted in IoT, Projects, Raspberry Jam, Raspberry Pi on September 12, 2014 by ForToffee.